Sunny and windy. High 74F. Winds NNW at 25 to 35 mph. Higher wind gusts possible..
Clear. Windy this evening. Low 57F. NNW winds at 20 to 30 mph, decreasing to 5 to 10 mph. 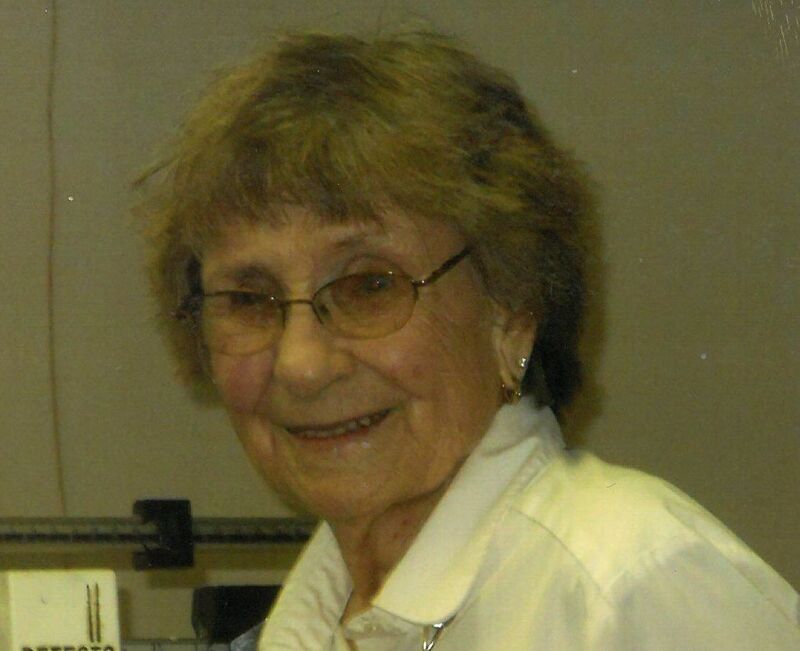 Anna was a resident of La Marque for 67 years, a longtime member of Queen of Peace Catholic Church, a member of the Texas City Tops and Grandmothers Club, and she also was an avid bowler. She is preceded in death by her husband of 70 years, Allen De Vasier, sons Robert De Vasier and Marcus De Vasier, her parents and her brothers and sisters. Anna is survived by her sons and daughters-in-law; Ronald and Janet De Vasier and David and Stephanie De Vasier, nine grandchildren; Brian, Jason, Phyllis, Connie, Kyle, Chris, Robbie, Amber and Ashley and numerous great and great-great grandchildren. 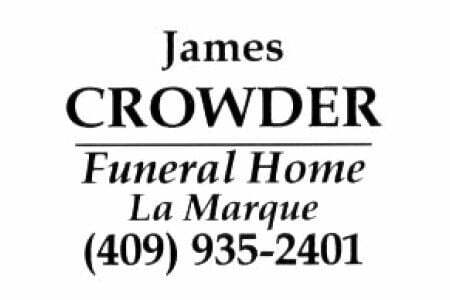 Visitation will be from 1:00 p.m. – 2:00 p.m. on Monday, January 14, 2019 at the James Crowder Funeral Home in La Marque. Mausoleum Service will be at 3:00 p.m. on Monday at Hayes Grace Memorial Park in Hitchcock with Deacon John Carrillo officiating.